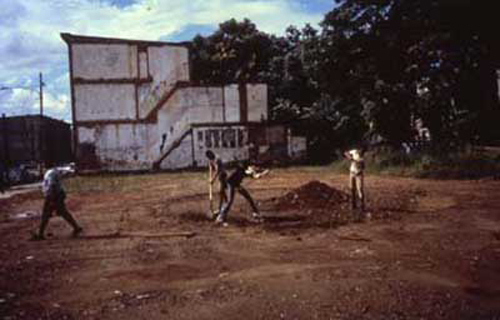 The Village’s first park was named after Arthur Hall’s Ile Ife Black Humanitarian Center. 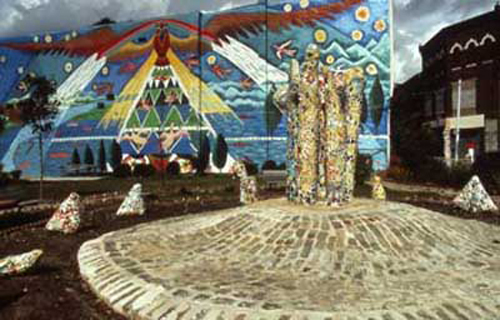 It is located at Germantown Avenue and 10th Street in North Philadelphia. 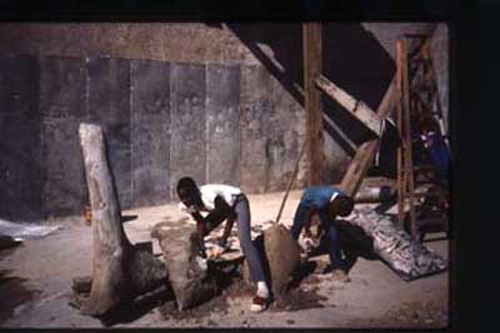 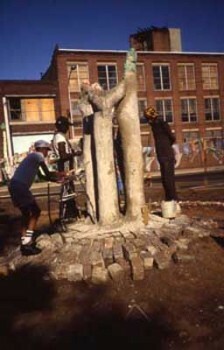 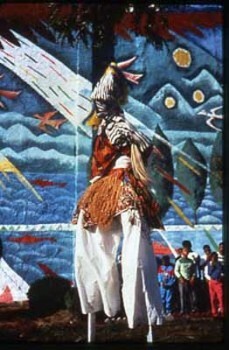 Arthur Hall, the late renowned dancer and choreographer, invited Lily Yeh to build an art park on the abandoned lot next to his building in 1986. 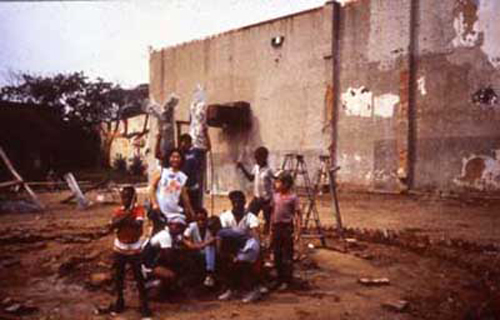 Lily Yeh recruited the help of Joseph (JoJo) Williams, a neighborhood resident, a talented drummer, a builder and a jack-of-all-trades. 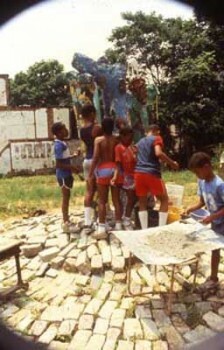 Drawn to their activities, many children from the area participated in their park building project. 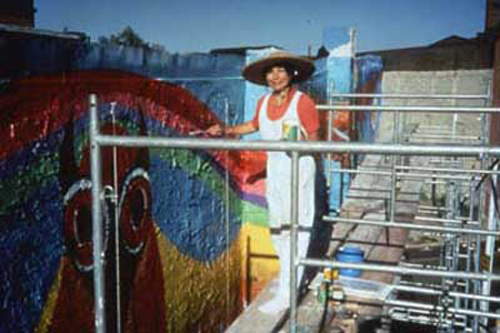 With the help of JoJo and adults from the neighborhood, Lily Yeh designed and painted the three story high mural “Ile Ife Guardian Bird” with a mythic owl beaming rainbow colored light and life to plants, fish, and animals under its gigantic wings. 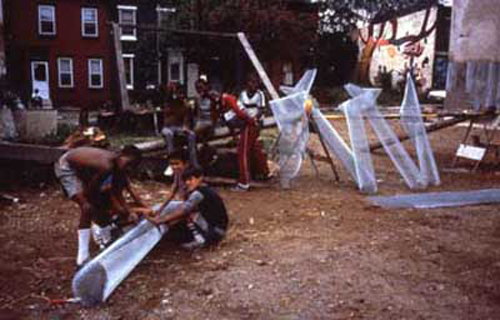 In 1997, Philadelphia Green, a branch of Pennsylvania Horticulture Society, began to provide the project with greening materials and technical support. 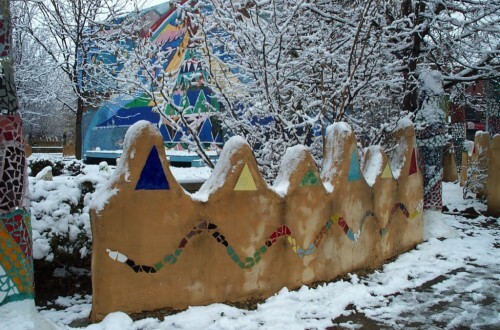 The Pennsylvania Horticulture Society has encouraged and assisted The Village’s urban greening effort ever since and contributed significantly to the growth and success of this project over the following two decades.